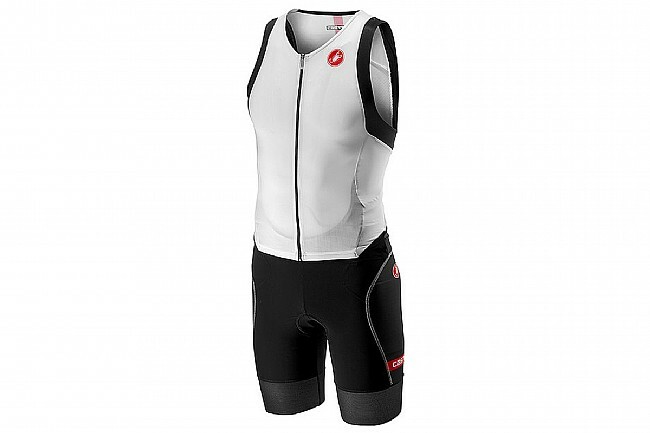 Castelli's Men's Free Sanremo Suit Sleeveless offers comfort and speed in a one-piece suit. SpeedFreak ventilated race fabric on the front of the upper portion and Velocity Mesh on the back deliver wind-tunnel tested aerodynamics. 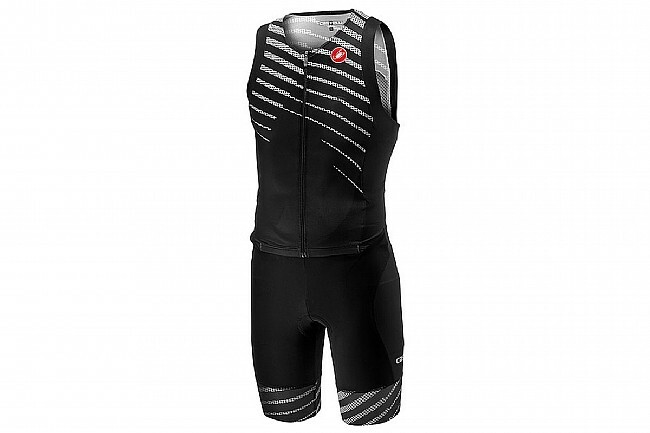 Instadry Speed fabric on the short, with minimal water absorption, is fast to dry after the swim so you aren't feeling weighed down. 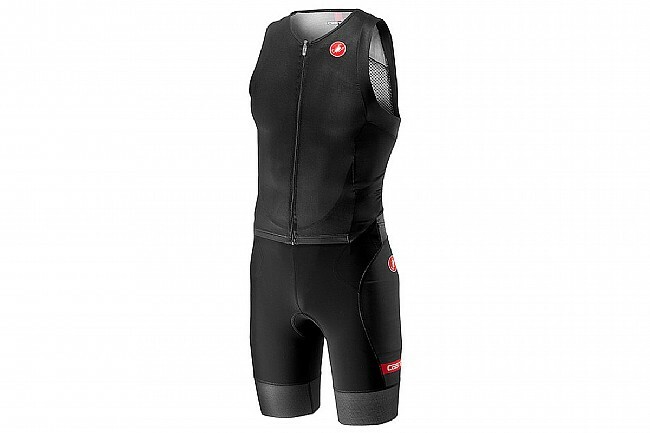 For quick pre- or post-race pit stops, this suit has a unique front construction so you don't have to remove the entire suit when nature calls. 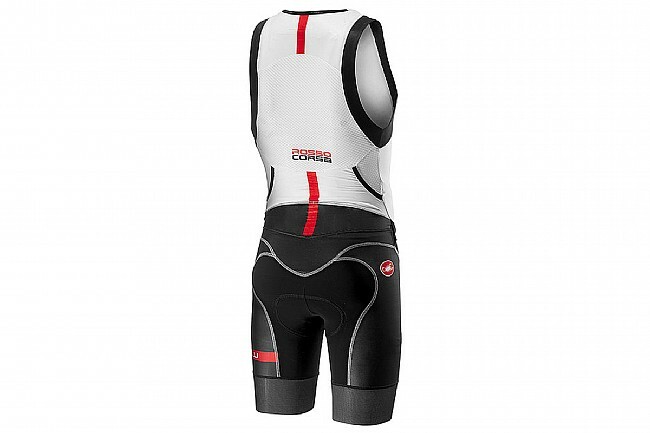 SpeedFreak ventilated race fabric on front of upper. 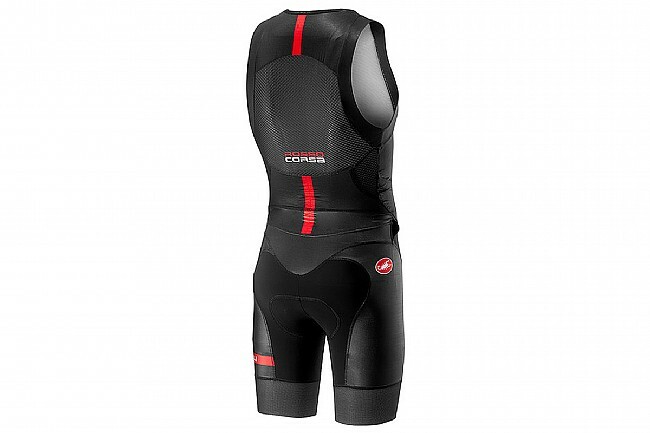 Breathable and accessible front construction. 2 small pockets on hip.